A lot goes into a G10 Van. 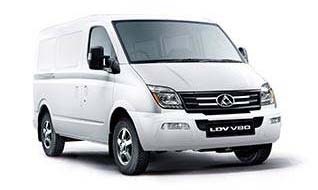 LDV has a global reputation for building world class commercial vehicles and the LDV G10 Van is no exception. In fact, nothing in its class comes close to matching the G10 for value and performance. 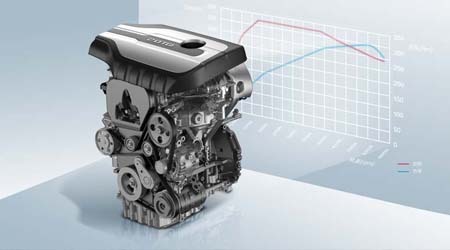 The G10 is available with a petrol or diesel engine, and with a manual or automatic transmission. It is spacious enough to fit 5.2m3of cargo and offers easy access through two sliding doors and a rear lift tailgate. Plus it comes with Bluetooth, alloy wheels and a rear camera. And all of this for a price that makes the G10 Van the best value one tonne van in Australia. 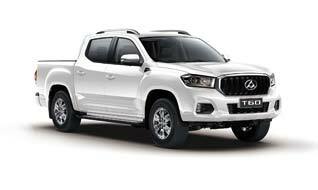 The G10 Diesel engine is a 1.9 litre turbo diesel workhorse offering 106kW of power and 350Nm of torque. Despite this it's surprisingly economical, with a combined cycle fuel consumption on the manual of just 8.3 litres per 100km (ADR 81/02). The petrol engines aren't slouches either. 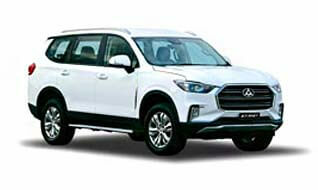 The auto has a powerful 2 litre 165kW turbo engine, with Gasoline Direct Injection and Double Variable Valve Timing, matched to a 6 speed ZF automatic transmission. Whilst the manual comes with a 2.4 petrol multipoint fuel injected engine that always steps up to the task. Rear wheel drive combined with effortless power and torque make the G10 easy to drive, either around town or on the highway. 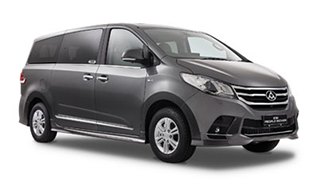 LDV has always taken driver comfort very seriously because a comfortable driver is a safer driver. So the spacious cabin has been designed with comfort in mind. 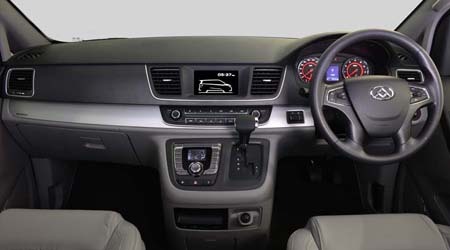 The driver's seat is well padded with an arm rest and a range of adjustments ensuring comfortable driver positioning. The steering wheel is tilt adjustable and there's a well-placed step and grab handle to make getting in and out of the van easier. The G10 also comes with standard features like Bluetooth for your phone and a rear camera. Cruise control is also standard on the automatics. And of course, all G10 vans come with air conditioning, power front windows, power side mirrors and keyless entry. Yes, everything in the G10 is designed to make your working day a lot easier. The G10 Van really does make hard work a whole lot easier. Its 5.2m3 cargo area has a payload of 1093kg. Access is easy with 2 sliding doors as standard plus a rear lift tailgate which provides protection from the weather when loading. There's also the option of rear barn doors on the diesel models at an additional cost. 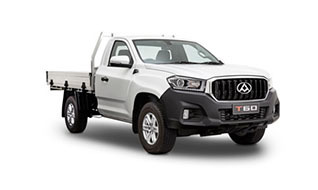 And when it comes to carrying a load, the G10 has strong load tie down points both on the floor and the wheel arches. 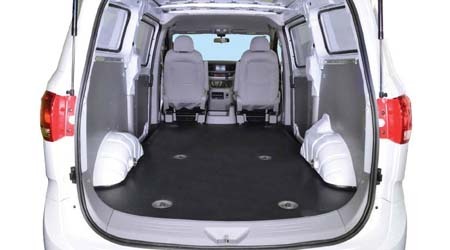 There is a thick, tough floor covering throughout the vehicle and an interior lining that goes half way up the side walls to protect both the vehicle and your cargo. And to make sure you are never left in the dark, there are four lights in the load area along with an integrated step on both sides. Too easy! Safety is a priority in the G10 Van whether it's the robust Lotus calibrated chassis, the ESP safety system by Bosch or the many other active and passive safety features. These include Anti-skid brakes (ABS), Electronic brake force distribution (EBD) and Emergency brake assist (EBA) all coming together to ensure braking is optimal for any driving situation. 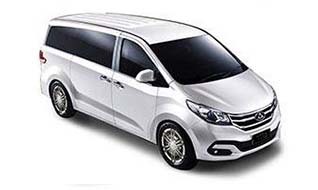 On top of that, the G10 Van has Electronic stability control (ESC) with Roll movement intervention (RMI). 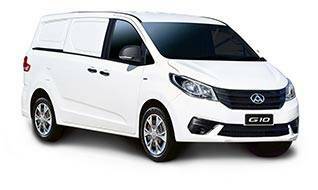 The G10 Van also comes with both driver and passenger airbags, rear fog lamps and a tyre pressure monitoring system. 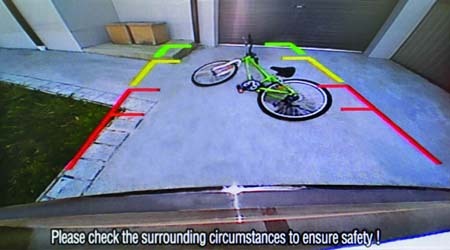 And pedestrian safety hasn't been forgotten either, with the G10 offering both a rear camera and rear parking sensors.